The most common method of cooking a steak involves first searing each side in a hot pan and then finishing it to the desired temperature in an oven. It's a solid technique, but it can be hard to know exactly what's going on inside your steak. 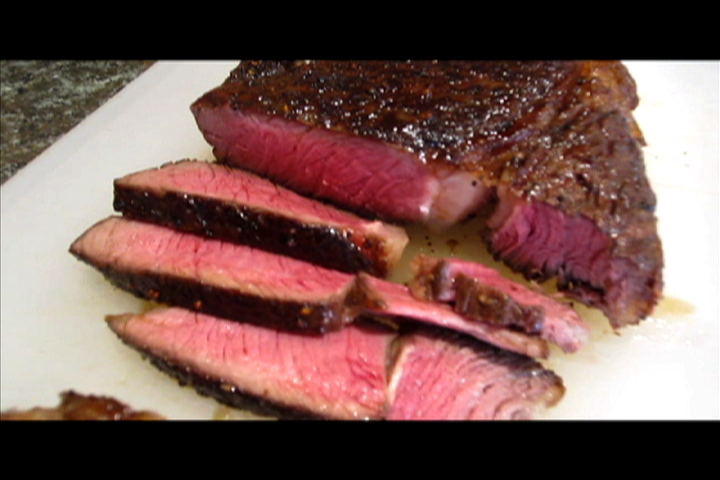 Searing is the easy part, getting that perfect medium-rare on the inside is hard. By simply reversing your order of operations we can focus first on cooking the steak perfectly on the inside, and afterwards achieving that easy sear. 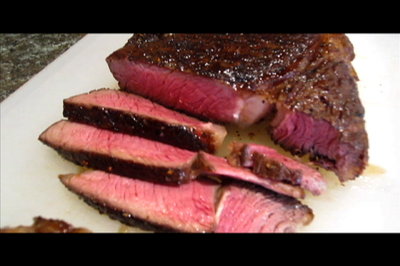 The result gives you an even more amazing steak -- more tender, more beautiful, with perfect edge-to-edge doneness.